Those who ignore history are doomed to repeat it. That adage is true in all walks of life, but it is particularly appropriate as the IRS prepares to implement its most recent initiative for examinations by the Large Business & International division (LB&I), as described in the draft release of Publication 5125. The stated objectives in the draft are laudable: transparency, collaborative factual development, and fair and efficient resolution. These same concepts have been trumpeted in the past with equivalent opening fanfare. However, they have been supplanted over time with different measures of the same components. This commentary is intended not to dissect the new formulation but to provide some historical perspective and to attempt to identify the major, practical factors that will determine whether the current version succeeds or will be replaced by yet another approach. Each issue identified for examination will have a separate issue team, which will have responsibility for setting timetables, developing facts, and resolving proposed adjustments. The taxpayer will be required to provide a written concurrence of the issue team’s statement of facts or to otherwise identify additional relevant facts and/or document any disputed facts. These changes are interlinked with the prior LB&I IDR directive (Feb. 28, 2014; IRS Control No. LB&I-04-0214-004), which provides strict timetables for response dates to IDRs, after which a pre–summons and summons issuance timetable automatically is triggered, and with the Appeals Judicial Approach and Culture (AJAC) project (July 2, 2014; IRS Control No. AP-08-0714-004), which returns Appeals to a quasi-judicial review function that will decline jurisdiction over a case to LB&I if a taxpayer introduces new information or raises a new issue at Appeals. These changes were preceded during the last few years by the reorganization of LB&I, the demise of the Tiered Issue program, and the introduction of issue practice groups (for domestic issues) and international practice networks (for international issues). These all were launched with the same three generic objectives stated above, but greater emphasis was placed on centralized management of issue analysis and resolution, with a cadre of technicians removed from the facts typically given final authority over issue management and resolution. The proposed examination program evidences a modified shift back to field management of issues, but in the form of multiple issue teams, each with responsibility for its single issue, albeit subject to coordination with a technical advisor. The former programs reflected a lack of confidence in field agents (and precipitated many internal complaints and a lowering of their work morale), but, because of budget limitations (traceable in part to some notable training programs with entertainment themes), there has been little training to convert agents to the new approach. The success of the new audit approach will likely be dependent on three variables: the agents who comprise the issue teams, the coordination of the issue teams where multiple issues are being examined, and mutual transparency and collaboration. The metamorphosis from a single audit team based on site, aided by technical advisors and with a single case manager, to multiple issue teams, each with an issue manager, technical specialists, and field agents who are geographically dispersed, is a novel concept, and each of the foregoing variables presents potential practical problems, many of which LB&I and taxpayers have previously encountered. Most taxpayers prefer a knowledgeable auditor with whom they can have meaningful discussions as to the relevant scope of information requests, the precedential effect of various authorities, and the significance of key facts. Similarly, for fact-based issues or adjustments that are mixed questions of fact and law, there may be opportunities for a dialogue as to the relative hazards. By contrast, an auditor who is merely following directions without understanding the underlying reasons for a document request or the different precedential value between an IRS Notice and an en banc appellate opinion has no ability to make informed judgments, ask follow-up questions, or do a risk analysis that is the foundational premise for the new LB&I examination approach. LB&I’s substantive training of field auditors was less important when tiered or otherwise-coordinated issues were controlled by others, and more recently it has declined because of the lack of funds. Moreover, a rules-based training regimen provides no real-world perspective for an auditor any more than a tax law class does for a recent law school graduate. Knowing the substantive rules is merely a first step, and one’s understanding lacks grounding without some practical experience. This requires instructors who have such insights and who can impart such knowledge. LB&I has not revealed the nature or scope of training that it intends to provide to implement the new issue-team examinations, but, unless it differs from past methodology, there is little reason to anticipate that the auditors will have the necessary background to handle their new responsibilities. The program’s stated objective of having the audit team “apply the law to the facts in a fair and impartial manner” requires more than a familiarity with the applicable law and a statement of the IRS’s position. Whether such IRS position is published, privileged, or private, it is still only the IRS’s interpretation, and impartiality requires, at a minimum, a recognition that there are two sides to nearly every issue, even if they may not be evenly balanced. This potential deficiency in training may be exacerbated as an auditor is required to adjust to new issues outside their usual purview. The recent announcement that LB&I will soon start training agents from the domestic side of the house to do international issues is one notable development on point. In a parallel situation, as LB&I’s IDR directive is being implemented by the field, it is clear that some agents and case managers have not been adequately instructed as to the terms. We have already seen summonses issued for testimony without discussion with the taxpayer or any prior IDRs or pre–summons notices on the ground that “testimony” is not information within the meaning of the directive and therefore not subject to the procedural safeguards of the directive. One can easily foresee similar confusion when agents move from research credit audits to foreign tax credit audits, either at the planning, execution, or resolution stage. LB&I does not appear to have conducted a pilot project to test the new examination approach, and this may result in unexpected difficulties on opening day. Of equal concern is the past IRS practice of rotating technical personnel in the field from one issue to another. Many times this results in inadequate expertise rather than cross-fertilization. As the issue teams expand and contract depending on the evolution of particular issues, LB&I will need to monitor the understanding and impartiality of the teams with greater scrutiny to achieve the intended objectives of the program. However, few adjustments are pure legal issues on which the facts can be agreed. And anyone who has been involved in the process of stipulating facts for presentation to a court, even in the context of cross-motions for summary judgment, are well aware that this process is arduous and time-consuming. Moreover, all facts are not of equal relevance or credibility, and, even if they can be agreed, it does not follow that all that remains is the application of technical provisions. Thus, it seems more likely that the model for such statements of facts will be that used for technical advice requests, where both the taxpayer and the requesting IRS field function submit separate statements. Although it will be advantageous for the taxpayer to submit such a statement at the conclusion of an audit if the taxpayer intends to seek Appeals review, it is unlikely that agreement will regularly be reached on “all” facts, particularly if the auditor’s initial write-up of “all relevant facts” does not include facts or documents that support the taxpayer and were previously provided in response to IDRs or otherwise. In sum, perhaps the most essential element of the new program will be the knowledge and understanding of the auditing team—as to both the substantive issue and the underlying objectives of the new program. Changing the parameters of an audit team’s focus, mandating fact development within strict timetables, and applying the law impartially are dependent upon having knowledgeable auditors with good judgment. Although there may be ongoing internal consideration at the IRS as to how best to train and monitor its agents as they transition to this new issue-based approach, absent an equivalent sea change in the training, it remains to be seen whether this program will have the intended effect. The planned replacement of a case manager and case coordinator for an audit with multiple issue teams, each with its own issue manager, is consistent with the school of thought that it is more productive and more personally rewarding to each participant to work small. And, to its credit, this is not a redesign of a prior approach but a legitimate revision of LB&I field operations. However, because an audit team is only as good as its weakest link, so it will be that the weakest issue team (whether by reason of issue knowledge, ability to satisfy a group timetable, distractions from another audit on the same issue, or otherwise) will determine the success of any particular audit. It remains unclear as this is written how LB&I intends to coordinate the multiple issue teams that will be in place for different issues. Nor can one predict the additional costs to the taxpayers of having to deal with multiple issue teams. In this regard, Publication 5125 expressly recognizes that the issue-team approach will require active monitoring of the progress of an audit, but it provides no guidance as to how this will be accomplished. Apart from overall deadline considerations, the issue teams will have to be coordinated so that the taxpayer is not served with IDRs from each team simultaneously and/or that the response dates take into consideration activity on other audit issues. This concern is exacerbated by the “no exception” deadlines in the IDR directive, under which pre–summons notices are automatically issued if deadlines are missed. Although one obvious remedy would be for the issue teams to deal with the taxpayer seriatim, this would reduce the intended efficiency of the audit and is dependent upon all of the audit teams conferring and reaching a consensus as to a collective approach. Absent a case manager or coordinator to whom the issue-team managers report, such coordination would fall upon the territory manager, with whom more regular meetings would need to be scheduled. And, given that the members of each issue team are likely to be in diverse geographic locations, coordination within a single team, let alone among several teams, will likely prove difficult and delaying. Monitoring or otherwise coordinating issue teams will require active management more than casual checklist review, and protocols will need to be established and identified by which taxpayers can promptly seek resolution of problems at a senior managerial level within LB&I, or the who’s-on-first dilemma that was associated with the Tiered Issue program may recur. Coordination will be particularly important at the beginning of an audit when the risk analysis is made to identify issues for examination. It is unclear how LB&I intends to implement this initial exercise, which is critical to the success of the new audit approach and must be completed before issue teams are assigned. That is, one must first identify the issue not the issue team, or there is likely to be a self-fulfilling prophecy. There should also be continued monitoring and evaluation to ensure that the initial risk analysis was correct and to use issue-team resources most effectively. Presumably, this will require an industry specialist who is familiar with all potential issues and who can make an informed, preliminary determination. Likewise, absent coordination to the end of the audit, unless Appeals is willing to accept one-issue applications to fast track while other issues remain under audit, a taxpayer could be sidetracked from using an alternative dispute resolution technique until the entire audit is concluded and all eligible adjustments can proceed collectively. Conversely, if there are several issues that are ripe for fast-track consideration, does the taxpayer take all simultaneously to Appeals with the prospect of separately negotiating with different issue teams? Although one of the stated objectives of the new issue-team approach is to resolve issues short of traditional Appeals consideration, this may prove to be less likely unless there is a single coordinator for the entire audit. Although a principal advantage of the issue-team approach is the expertise that is congregated, to the extent that such teams see similar issues regularly for numerous taxpayers, the same-issue myopia that plagued the Tiered Issue program may again arise. Thus, again, the monitoring that occurs should not only be regular administrative oversight but also a periodic review of the issue team’s appreciation and handling of similar issues with factual and/or legal nuances that differentiate them. On matters that overlap issue teams—such as the potential assertion of accuracy-related penalties, extensions of statutes of limitation, or possibly the issuance of summonses—additional monitoring and coordination will be desirable. Particularly in the case of penalties, taxpayers should have some assurance that the standards will be applied consistently from issue to issue. Finally, a fundamental intangible that underlies the success (or lack of success) of every audit has often been the relationship that develops over time between an audit team and a taxpayer. Notwithstanding the changeover of teams after several cycles, historical experience can be instructive as to how to deal with a parallel issue in a subsequent audit, whether it be the use of sampling of documents, unrecorded interviews of witnesses, or use of the fast-track procedure. The turnover of issue teams and the lack of familiarity with any single team may lead to less trust and fewer inefficiencies on both sides of the audit, rather than more collaboration. In short, a risk exists that the shortcomings of other issue-coordinated programs of LB&I in the past may resurface in the new program. The burden to avoid this déjà vu is largely on the IRS, as there is little that taxpayers can do except to identify such problems as they see them developing. The IRS abandoned prior audit approaches for similar reasons, and, perhaps with caution and case-specific oversight, it can avoid the same effects with the new program. Many, if not most, taxpayers are cooperative, and the new program may serve their interests well to conclude an audit more expeditiously. This cooperation is typically evidenced in timely and transparent responses to IDRs, early identification of positions that they intend to defend vigorously, and otherwise. Yet, the LB&I pronouncements continue to impose deadlines that appear to be based on experience with recalcitrant taxpayers. Thus, for example, the immutable deadlines for IDR responses in the IDR directive and the 30-day limit within which informal claims must be filed after the opening conference are both designed to avoid delays and surprises that have occurred in the past. By contrast, as was true for prior audit programs, LB&I has imposed few deadlines, or even guidelines, by which its auditors must accomplish any task. Although not essential to the new program’s success, it would benefit greatly from a recognition that mutual transparency and collaboration are also desirable objectives and would likely mute the criticism of other problems that will undoubtedly arise as the program moves from concept to completion. In this regard, the compliance assurance process (CAP) program is often cited as a success that should serve as a model for audits generally. Indeed, the new audit program’s stated objectives of collaboration, transparency, and early resolution are the foundation of the CAP program. Likewise, CAP audits are typically designed based on a risk assessment that takes into account practical considerations such as resources, timetables, and ready availability of decision-makers on both sides whenever needed. Agents who participate are inculcated with the objectives of the program, and taxpayers are motivated to accomplish all tasks in a timely manner, with the result that information and analysis is shared more freely and earlier in the process. The former attributes are aspirational objectives for the new audit program, but the latter characteristics may determine its success. Unlike CAP, however, the new audit program does not provide any incentives for taxpayers, and it would serve both parties’ interests for there to be mutual obligations that are equally measurable. For example, although Publication 5125 dictates that informal claims must be completed within 30 days of an opening conference, no timetable is set for LB&I to identify and risk-assess potential issues. It would seem reasonable to tie the two exercises together, given that the taxpayer has no less an interest than does LB&I in identifying issues. Perhaps requiring taxpayers to file all informal claims within 30 days after the IRS risk assessment is complete would serve the same interests of the IRS to have early disclosure of claims, or, conversely, the program could require that the risk assessment be completed and issue teams be identified within 60 days after the opening conference. Either way, both parties would have commitments to honor. Similarly, to the extent that LB&I declines to release the operational training that it provides to auditors to explain the implementation of the new audit program, it could release information as to how the auditors’ performance will be evaluated. For example, will it be based on keeping the audit on an agreed timetable, the amount of the adjustments (proposed and sustained), the number of agreed issues, or otherwise? In any event, there would be a clear signal that LB&I is committed to make this new program work and that it is not just another corner that it has turned. Mutual transparency can be beneficial to both parties. In sum, to the extent that the new program avoids some of the flaws of prior audit initiatives and the stated objectives are implemented and understood by all to provide mutual benefits, transparency, collaboration, and fair and efficient resolution may be reasonably accomplished. However, it will take more than redesigning the rules of engagement for there to be meaningful change. Taxpayers should be observant of these and other potential practical problems and, to the extent possible, propose modifications that reduce these inherent difficulties and ensure that the program is effectively monitored by LB&I, particularly as it is being introduced. 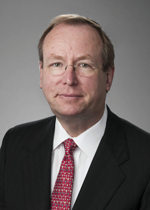 Gerald Kafka is a partner at Latham & Watkins LLP in Washington, D.C. He has written numerous articles for Tax Executive. He can be reached at gerald.kafka@lw.com.